Very often weighing our self can represent a traumatic act. Scales is an object usually present in our bathroom. It’s always under our eyes, we go around it daily, and even if we are on diet and we have to lose weight, we are afraid of climbing on it. If scales comes out as from our cartoons and loses that dramatic look of medical object, we would look upon it with favour and it would be funny climbing on it. 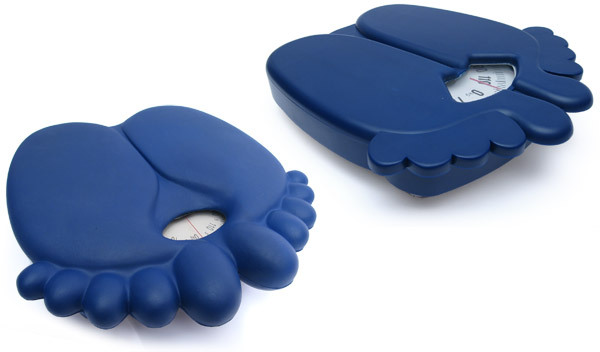 A traditional scales device with analogical functioning is covered by a self-skinning polyurethane foam cover. The cover is very soft to the touch, pleasant in contact with the naked feet, easy to clean and sanitary. The shape of the big cartoon feet, communicates irony and fancy. 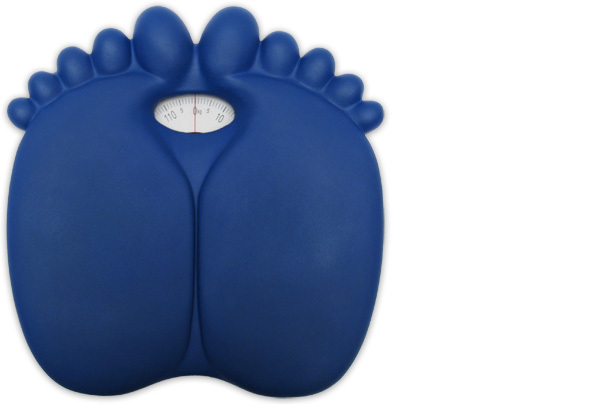 For reading the weight we just need to put our feet in touch with the scales’ ones. 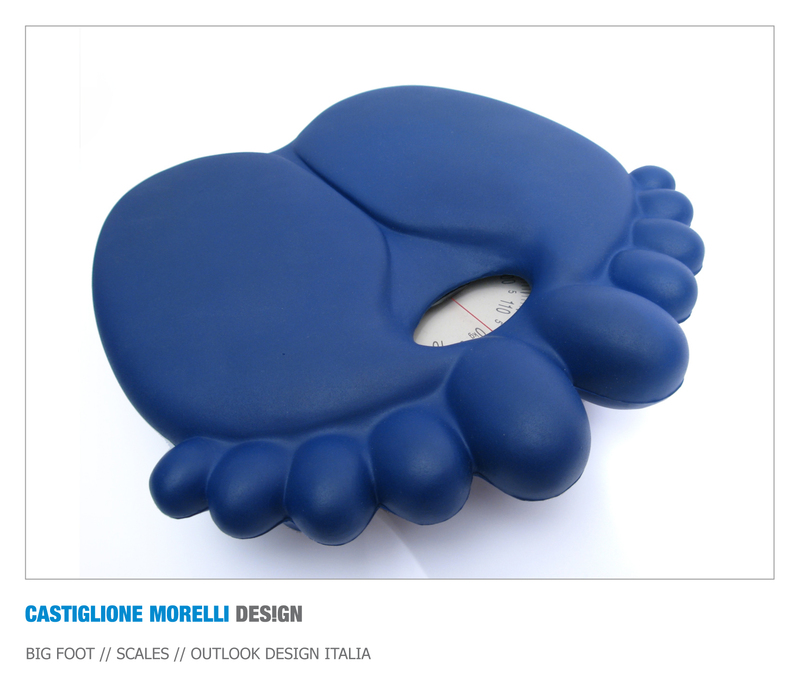 The success of Big Foot has created an interesting niche in the market and the manufacturing company has rmade a set of items, conceived according to the same planning philosophy in order to provide a large range of bathroom objects. Over the years after the release of Big Foot the collection has enlarged with many subjects, all different in shapes and colours, some of them decorated with serigraphs and someone else made of other materials.